Thanks to this very avant-garde sneaker with retro-futuristic lines and metallic detailing, we can dive right into the fashion of the 80s: half Flashdance, half SciFi. 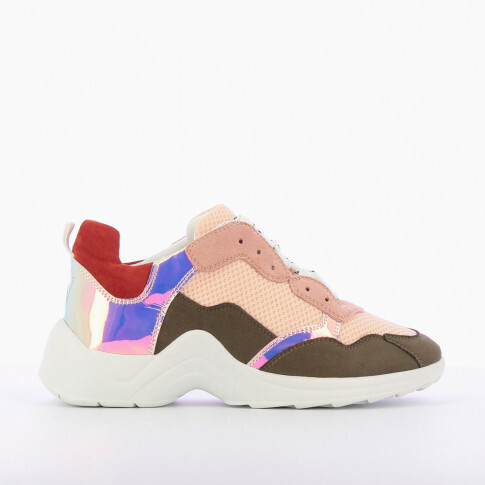 Wear it with some jogging pants and a cropped top, or some leggings and a sweater for an athletic look that is straight out of Beyoncé’s 7/11 music video! 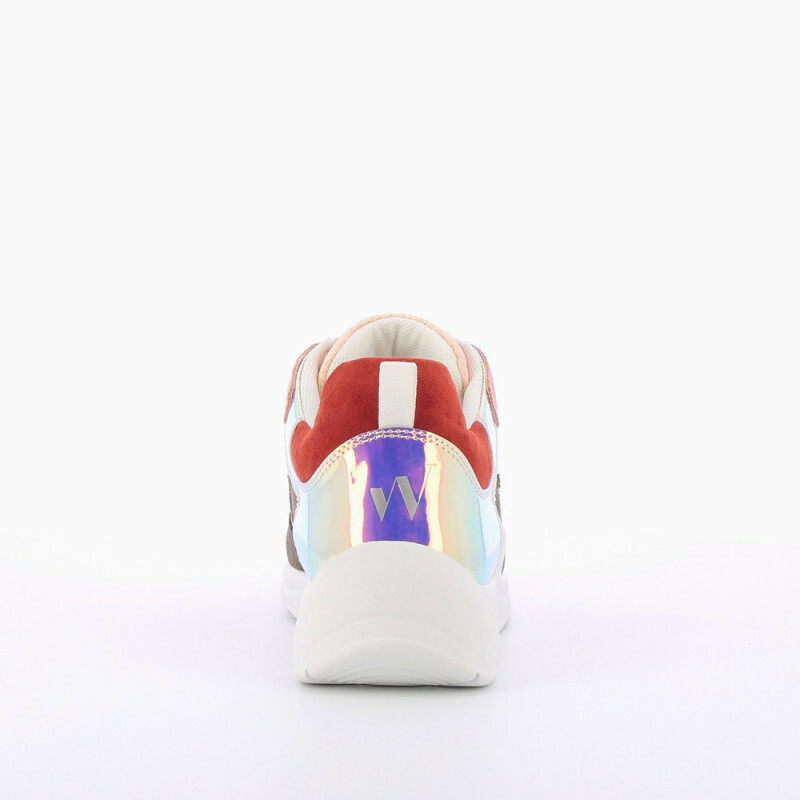 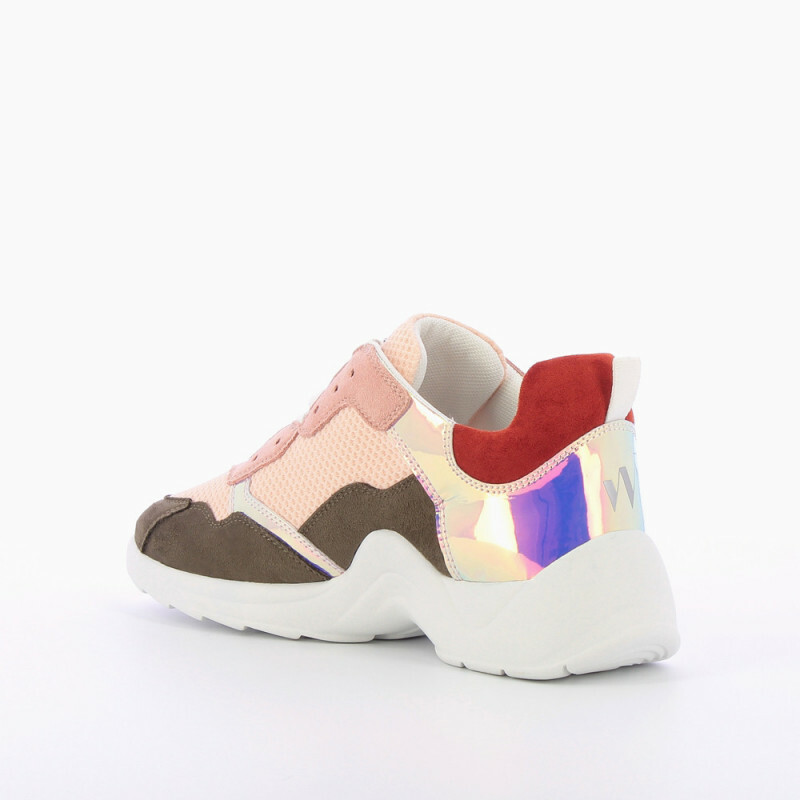 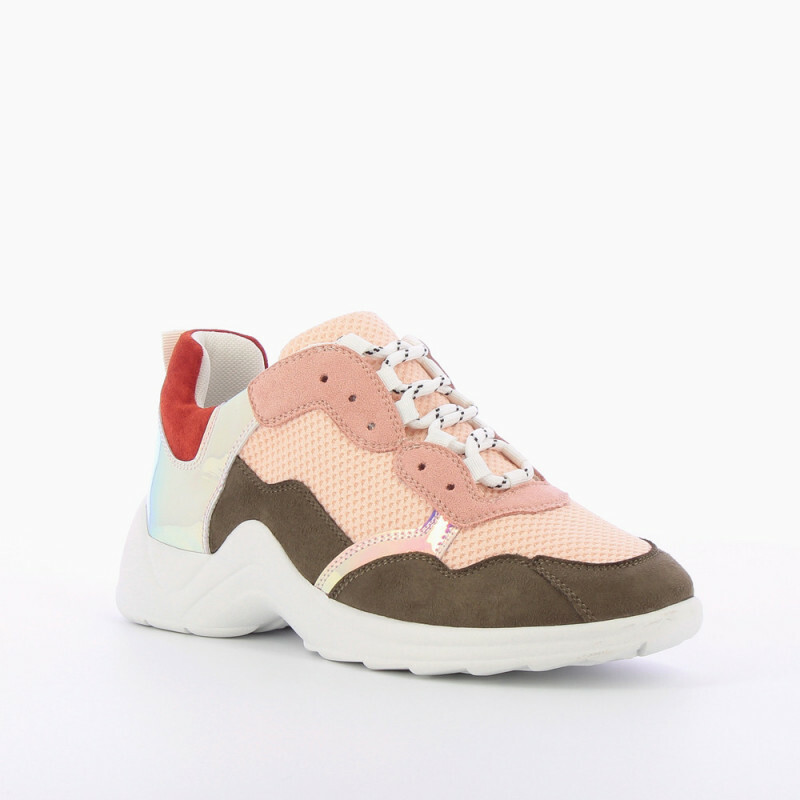 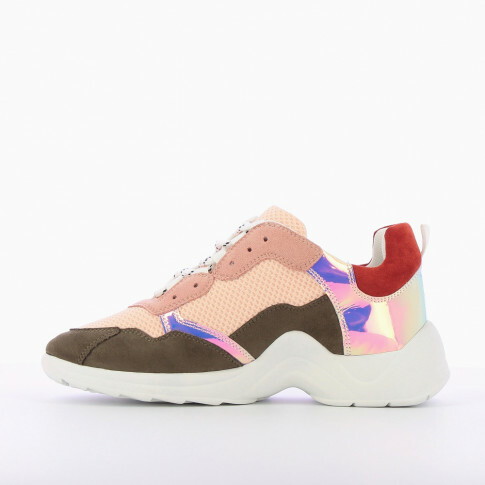 Salmon pink mesh effect sneakers decorated with holographic yokes and khaki, pink and brick-red suedette detailing. 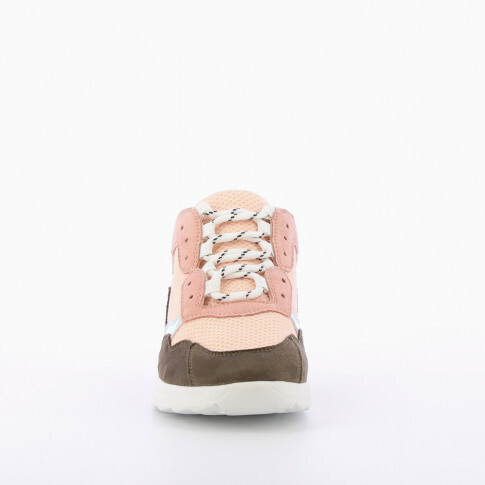 Round toe, white laces with black patterns and large white sole.